Brisbane Square Library, Sunday 24th September. It was a very special launch of a delicate book about a difficult subject. 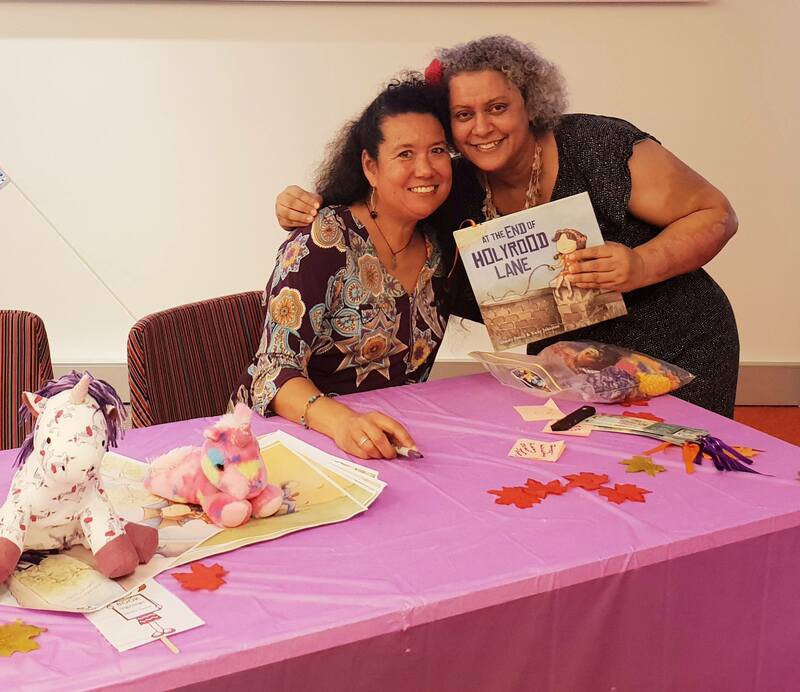 At the End of Holyrood Lane is a book intended to open the conversations about domestic violence and the fear it causes for children and the hope that change can begin when help is sought, written by Dimity Powell and illustrated by Nicky Johnston. I enjoy conversations with Dimity about what a picture book can potentially do for people of any age. Dimity is a bubbly and cheerful person, who is able to deal optimistically but also poetically with such a difficult topic. Thanks Norah. Me too. Such a special person. creative, deep and principled, I am honoured to know her.